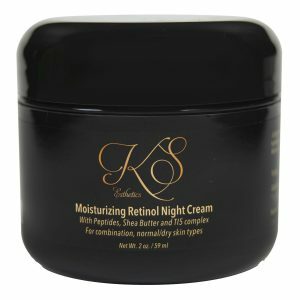 Dry skin lacks moisture, is prone to being tight and flaky, as well as wrinkles. Small pore size. 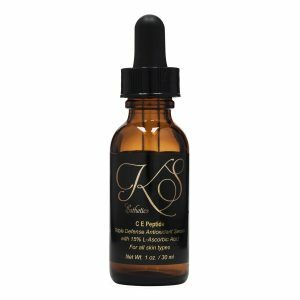 A powerful 3 in 1 vitamin C serum targeted to protect the skin from environmental damage, improve fine lines, brighten skin tone and plump skin. 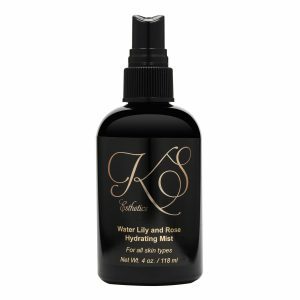 This oil free serum is designed to moisturize the skin with professional strength Hyaluronic acid (sodium hyaluronate) (sodium hyaluronate) to lock in moisture and plump the skin. 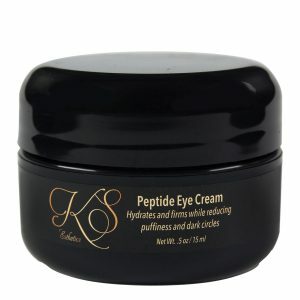 Infused with vitamin B5 to aid in absorption and green tea to reduce inflammation for radiant skin. 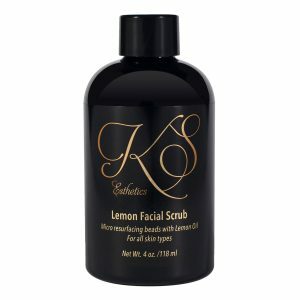 A powerful micro resurfacing treatment infused with lemon oil to soften fine lines, reduce pore size, diminish acne and brighten skin tone. formulated for all skin types. KS Esthetics mineral sunscreen provides professional strength sun protection while illuminating the skin with a sheer tint. 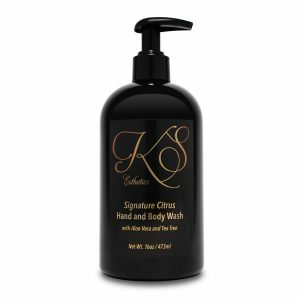 A refreshing hand and body wash blended with aromatherapy oils of lemon, grapefruit and orange. This advanced formula helps to hydrate while aloe vera and tea tree nourish and balance the skin. This skin type has a proper balance of moisture. It can become slightly dry or oily due to environment. Also features a smaller pore size. 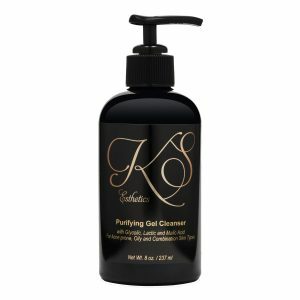 A sulfate free gel cleanser that offers 3 in 1 exfoliating power to target acne, clogged pores and excess oil. 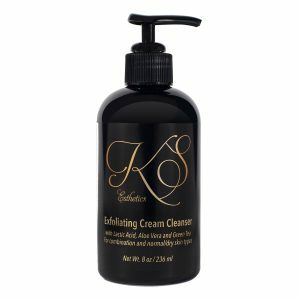 Botanical extracts such as aloe vera, green tea, tea tree and cucumber soothe, plump and balance the skin. Target Skin Types: Suitable for combination to oily skin types. 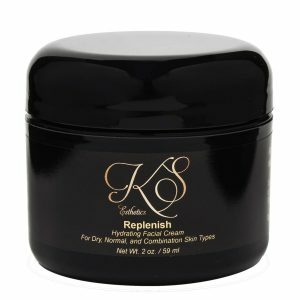 Can be used 1-2 times a week for dry to normal skin types for additional exfoliation. Both oily and dry, people with this skin type often have larger pores in the center of the face which produce oil. These make the skin prone to break outs. Sides of face can be dry and flake. 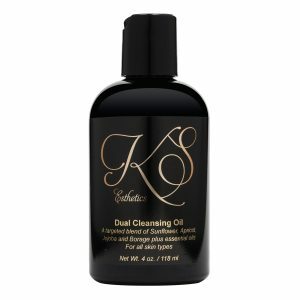 This skin type has an excess of oil, causing the skin to appear shiny. Individuals with this skin type have a larger pore size and are prone to break outs. This skin type can become flushed and irritated easily. Slow down your skin’s internal clock. Lack of water moisture, dry, oily, fine lines are more apparent. Replenish your skin’s vital moisture. 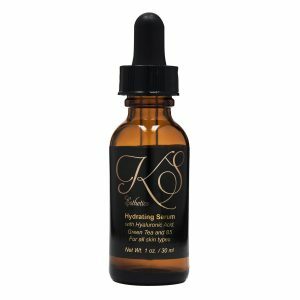 Dark spots, age spots, melasma. Keep your skin blemish free. Red in color, irritated, dry, flaky, inflamed. 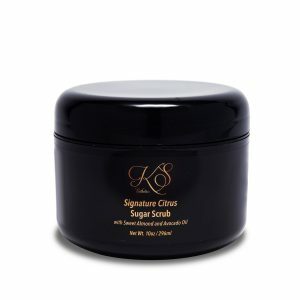 Soothe and nourish painful, irritated skin.